Florida International University (FIU) is pursuing commercial partners interested in developing and commercializing Near-infrared ray exposure system for biological studies. 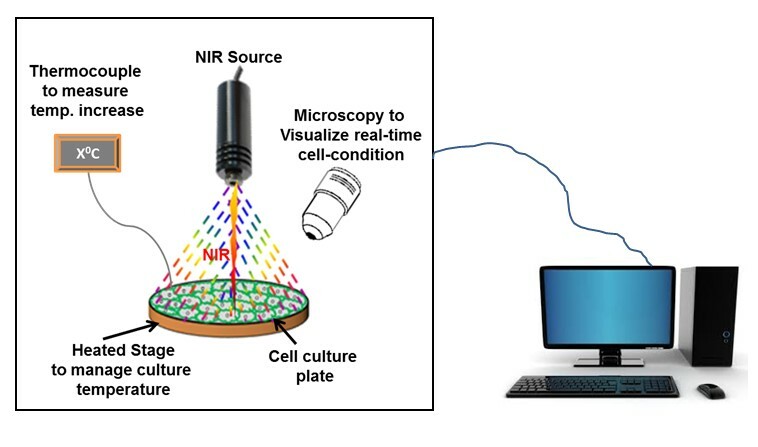 Near infrared ray (NIR) based technology is emerging as an important tool for studying different aspects of biological systems as it offers several advantages over the ultra violet and visible spectral range, such as minimum absorption and scattering, and deeper in vivo penetration. 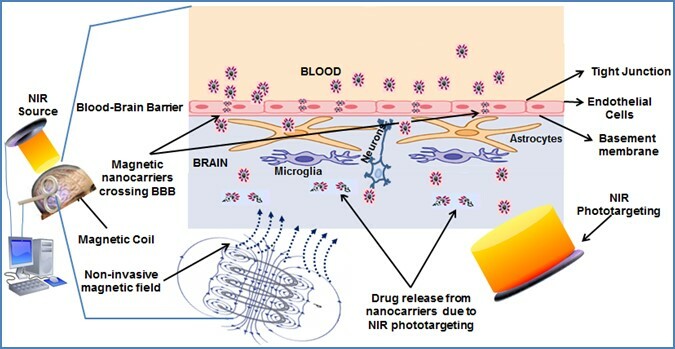 Further, when applied in conjunction with nanoparticles, NIR irradiation can be employed for treating in vivo models of cancer or other diseases. Unfortunately, due to the difficulty in minimizing or avoiding damaging thermal effects on the brain cells, this combined technique has largely been restricted to models of peripheral cancer therapy. In addition, several instruments are required for simultaneously applying a photonic irradiation source and optically evaluating its thermal effects on brain cells and/or other tissues. 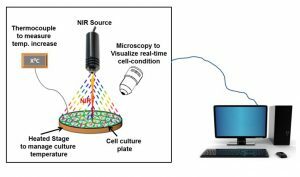 FIU inventors have developed a NIR exposure system for conducting photonic and optical treatments on biological samples with additional functions including temperature monitoring and real-time microscopic imaging. 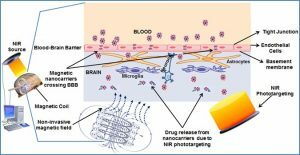 The system can also be combined with nanoparticles (NPs) treatment to accomplish non-invasive, on-demand drug targeting, brain cell specific gene delivery, and magnetized photo-biomodulation for treating various CNS or peripheral disorder models.